ISFAHAN, Iran (AP) — The head of Iran’s powerful Revolutionary Guard threatened to retaliate against neighboring Saudi Arabia and United Arab Emirates over a suicide car bombing this week that killed 27 members of the elite organization. 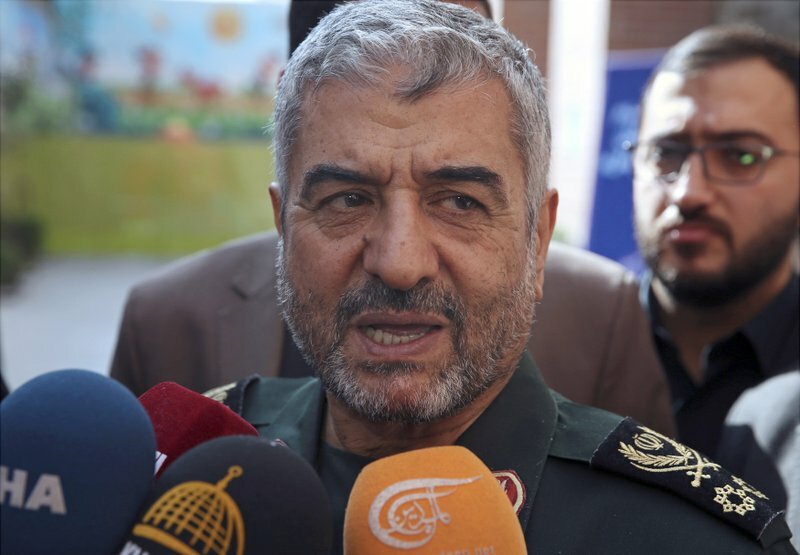 Maj. Gen. Mohammad Ali Jafari spoke late Friday at one of two funeral ceremonies for the victims of Wednesday’s attack near the southeastern city of Zahedan. He claimed, without providing evidence, that the United States and Israel ordered Saudi Arabia and the Emirates to carry out the attack, which also wounded 12. “We definitely will retaliate,” Jafari said in comments reported by the semi-official Tasnim news agency Saturday. Wednesday’s attack was claimed by Baluch separatists. The dead included officers and young soldiers, including a 20-year-old in the Isfahan-based Guard’s forces. The assault killed members of the Guard’s Imam Hussein division, which played a significant role in various battles during the 1980s Iran-Iraq war. The bombing raised the specter of possible Iranian retaliation against a Sunni militant group called Jaish al-Adl that claimed responsibility for the attack. The group largely operates across the border in nuclear-armed Pakistan. Recent militant assaults inside Iran have sparked retaliatory ballistic missile strikes in Iraq and Syria. In recent months, assaults by Jaish al-Adl, or “Army of Justice,” have increased. Since its founding in 2012, it has abducted or killed border guards in hit-and-run assaults from its havens in Pakistan. It kidnapped 11 Iranian border guards in October. Five later were returned to Iran and six remained held. Jafari said Iran expects Pakistan to “punish” the group, which allegedly took refuge in the country’s southwest. “If they do not punish them, our retaliatory measures will be carried out,” he said. Jafari said the Pakistani government knows where the attackers are harbored and accused Pakistan security forces of supporting them. Recent militant assaults inside Iran have sparked retaliatory ballistic missile strikes in Iraq and Syria. Tehran immediately linked Wednesday’s attack in Iran’s restive southeastern Sistan and Baluchistan province to a US-led conference in Warsaw largely focused on Iran, just two days after the nation marked the 40th anniversary of its 1979 Islamic Revolution. By EBRAHIM NOROOZI. Associated Press writer Nasser Karimi in Tehran contributed.